FIA president Jean Todt feels “little things were missing” in Ferrari’s 2018 F1 season that stopped the team from beating Mercedes. FIA president Jean Todt says only “little things were missing” in Ferrari’s 2018 season, which he believes prevented the team from beating Formula 1 rivals Mercedes. Ferrari and Sebastian Vettel led both world championships after the opening 10 rounds of the season but despite appearing to have the fastest car for the majority of the year, a series of missed opportunities and a wrong direction in development derailed its title hopes. Mercedes and Lewis Hamilton took full advantage to maintain the German manufacturer’s perfect record of winning every single championship on offer since the V6 hybrid era began in 2014, with Hamilton clinching his fifth drivers’ world title. “It has been a tight championship,” Todt, who spearheaded Ferrari’s charge to six consecutive constructors’ world championships and five successive drivers’ titles between 1999 and 2004, told Sky Sports F1. “If you just see the results people will again say 'it's Hamilton again and Mercedes again', but to achieve five times in a row the and drivers' manufacturers' championships - I know how difficult it can be. “It has been a tough competition with Ferrari and sometimes with Red Bull. We would prefer to have 10 different winners all the time but we know in any sport it is not happening, so it is not happening in F1. “Talking about Ferrari I would like to have a word about Sergio Marchionne,” he added. “It has been a very sad and unexpected death and he was a strong leader, he loved what he was doing but his heart was with Ferrari and F1. 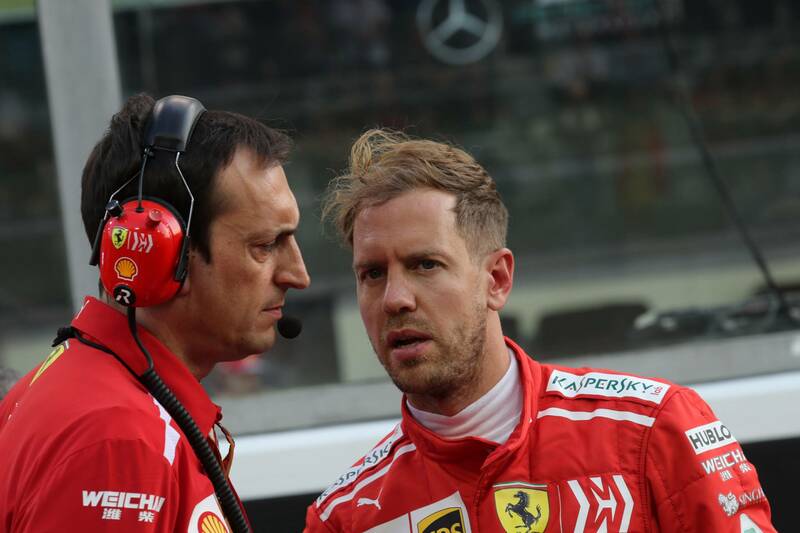 Vettel came under-fire for a number of high-profile mistakes throughout the campaign, most notably crashing out of the lead in Germany and suffering costly spins at the Italian, Japanese and United States grands prix. But Todt defended the German and believes emotional outbursts - such as in Brazil where Vettel appeared to lose his cool as he “destroyed” a set of FIA scales when called to the weighbridge during qualifying - are to be expected during such intense periods of competition. “We all have our emotion and it’s so easy to judge like that without any specific pressure,” Todt added. “But you must put yourself in the position that both champions [Vettel and Hamilton] are. I will be always very cautious before judging or criticising somebody, it’s a tough job.